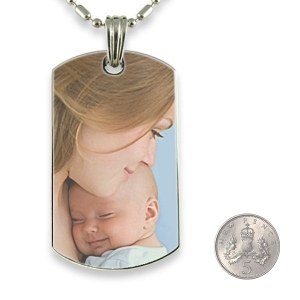 This is a Large Printed Colour Photo Pendant. 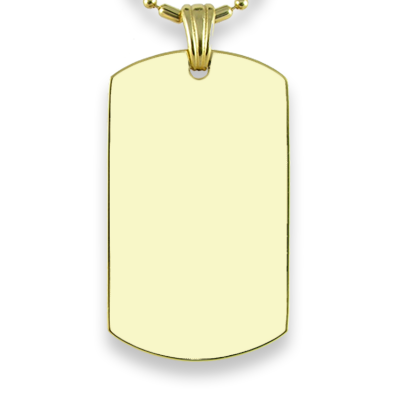 A weighty substantial pendant. 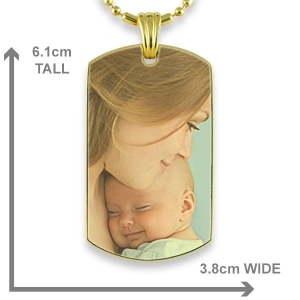 Big enough to reproduce a group photo in good detail. 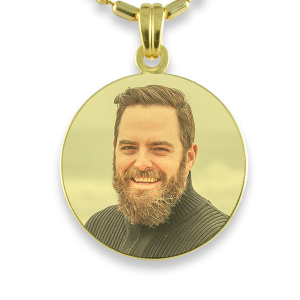 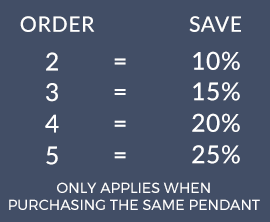 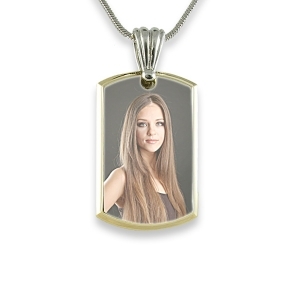 View your photo on the pendant and create a message for the back using our preview option. 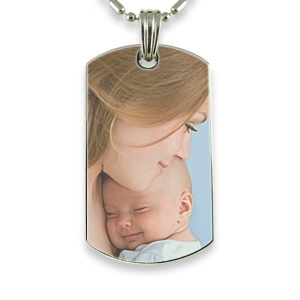 The colour pendants have to be coated to protect the printed photo. 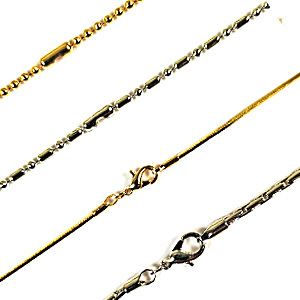 The coating process has a drying period of 24 hours, which is added to the estimated dispatch time. 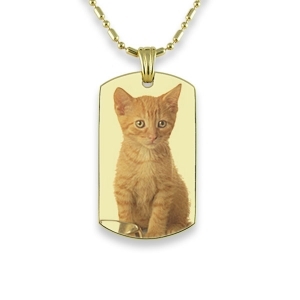 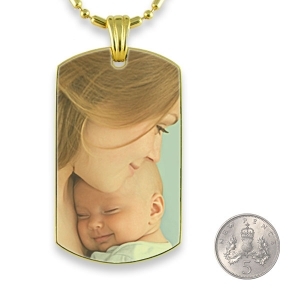 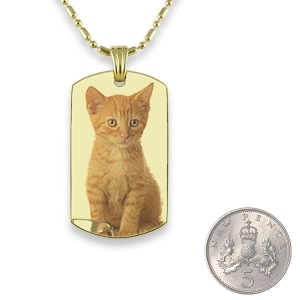 Treasure a photo pendant as a reminder of a loved one. 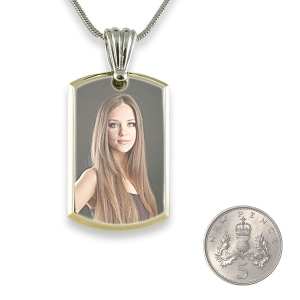 Photo pendants are a way of keeping a special reminder of those most dear to you wherever you go. 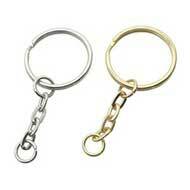 It makes a beautiful memento of a special occasion such as a wedding, christening or graduation. 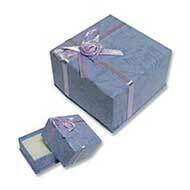 Looks brilliant but sent to father Christmas!